North West Roofing Supplies have a range of timber products available, all three of our depot’s Manchester, Lytham St Annes and St Helens stock roofing battens, plywood boards and OSB boards. Our Manchester and St Annes depot’s also stock timber in sizes 3×2″ and 4×2″. 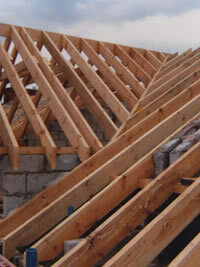 We can also supply your roof trusses and will come out to measure up any jobs that require trusses.